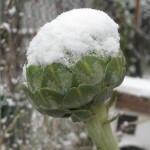 Last year we had a really cold stretch of weather, and the only thing that survived was our Tuscan Kale. 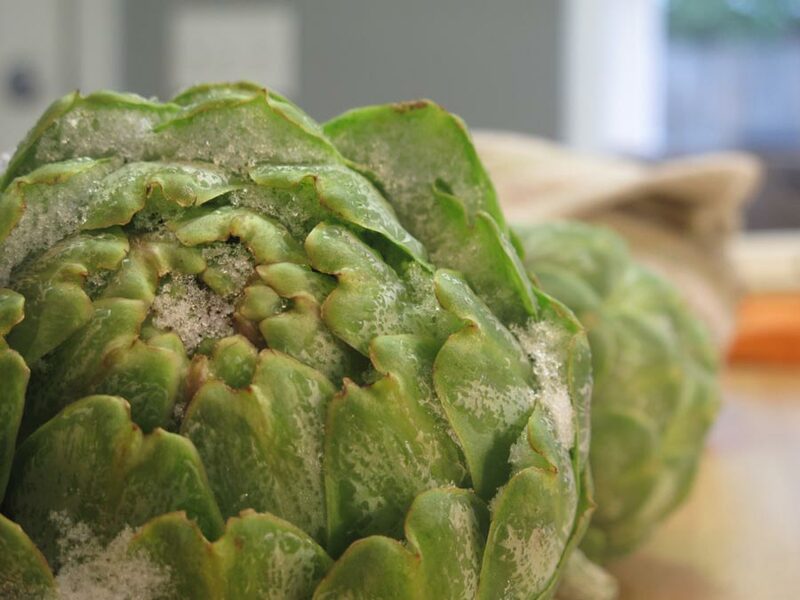 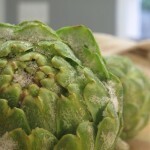 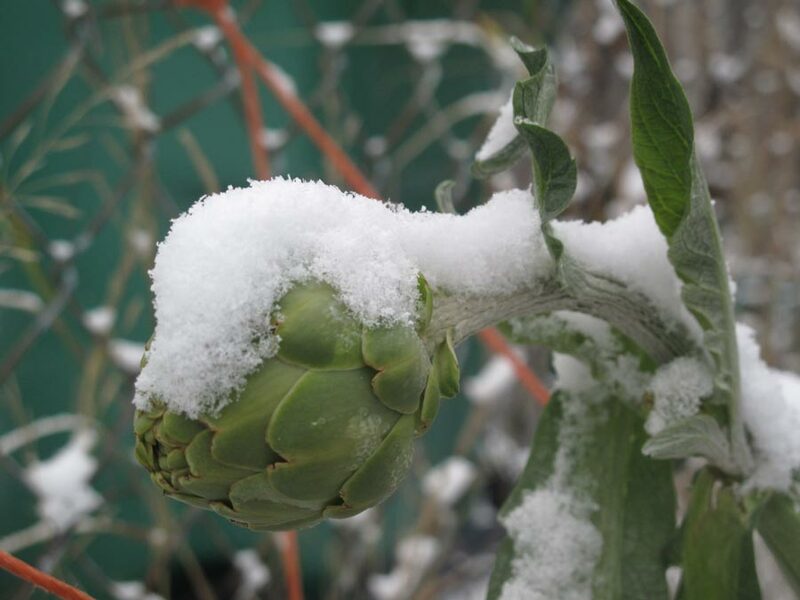 Included in things that did die was our artichoke plant, which was just getting ready to be harvested. 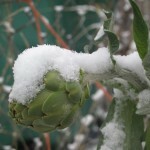 Instead it froze solid and wilted to the ground. 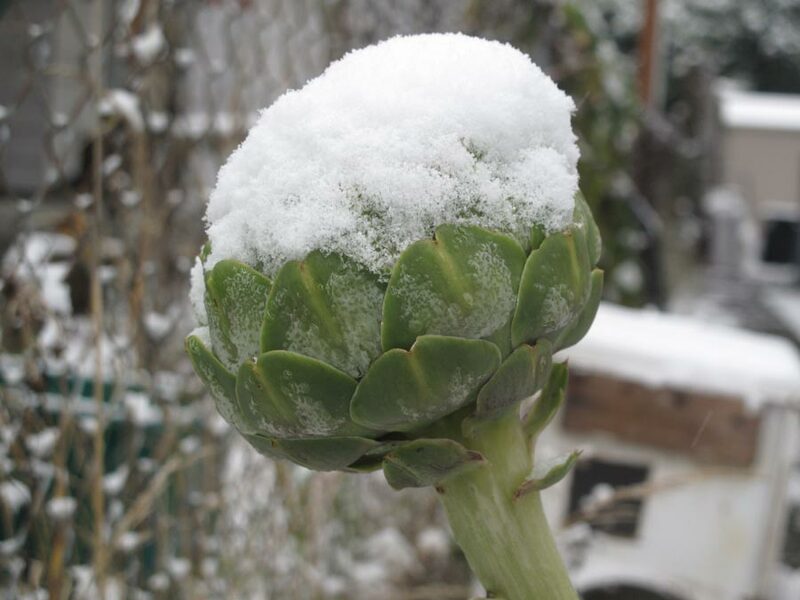 When the snow started today, I leapt into action and saved our artichokes, even though only one of them was a respectable size.